I qualified in 1980 from the Royal Veterinary College. I have Certificate in Veterinary Anaesthesia and a specific interest in Orthopedics and canine and feline reproduction. I am also Veterinary Advisor for the Flat Coated Retriever Society and Vice President for the Seal Point Siamese Cat Club. I am married to Michael and we have two sons, two Flat Coat Retrievers, three ponies, two Siamese cats, lots of chickens and a flock of Herdwick and Welsh Mountain sheep. 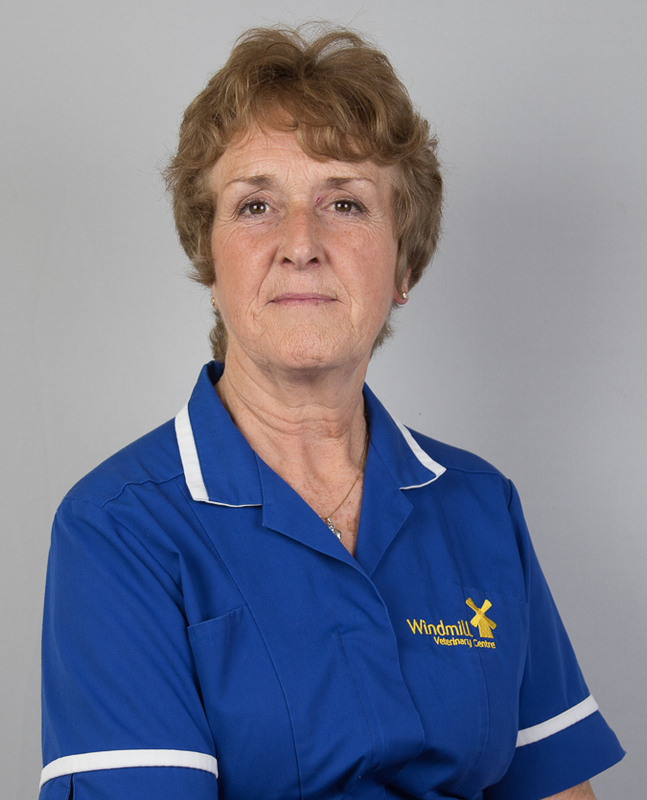 I qualified in 1980 and have worked in several practices around the south west area, mainly in small animal clinics. 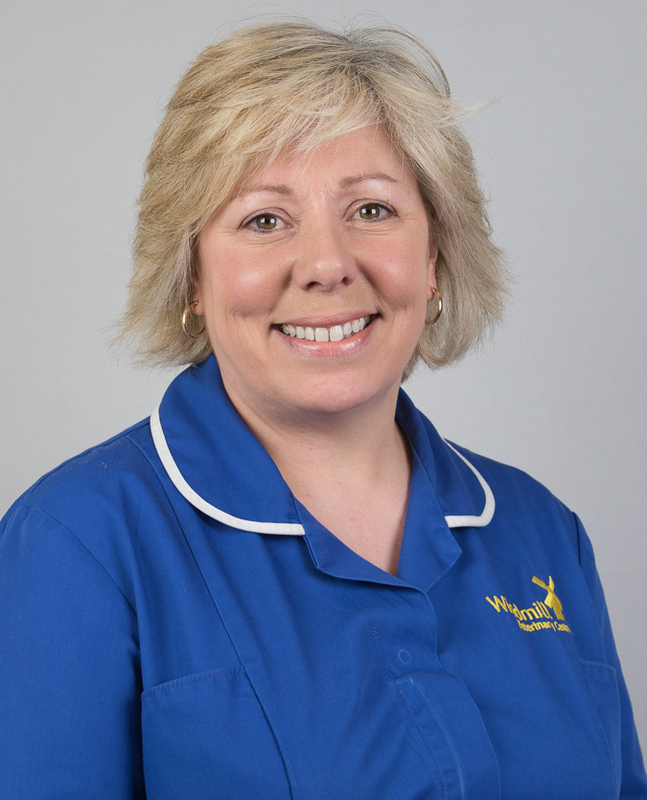 I joined Windmill in 2002 and have been Head Nurse here since 2006 for my sins! I have two cats and a dog at home and have a keen interest in feline behaviour. I qualified as a C-SQP in 2008 and I am responsible for our pharmacy, dispensing and stock control. 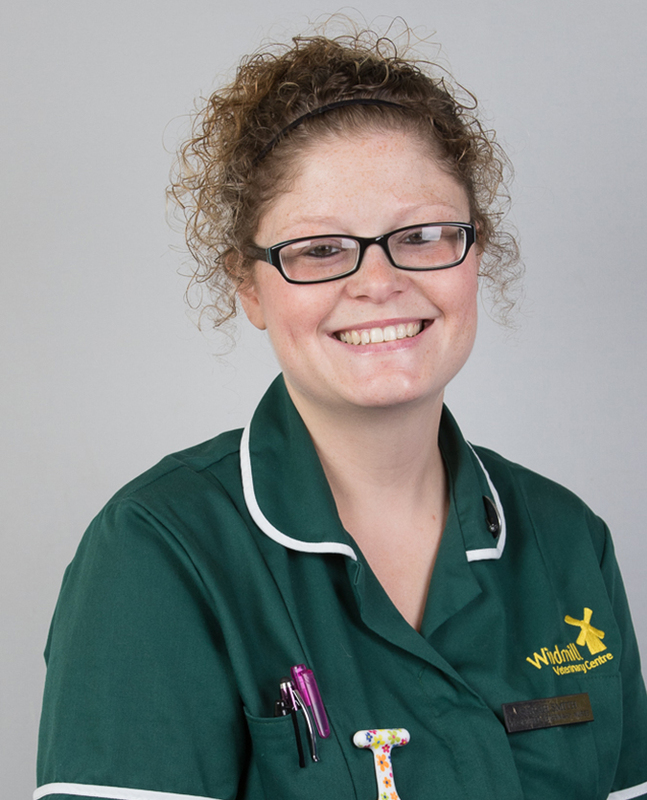 I started training to be a veterinary nurse at the tender age of 16 in a practice in St. Albans. I qualified in 1994 and became Head Nurse. I joined Windmill in June 2012. I have an interest in our native flora and fauna and enjoy going for walks with my husband and two children in my spare time and we own a couple of guinea pigs. Lynsey is currently on maternity leave. We wish her and her husband our very best wishes and look forward to lots of cuddles when she visits with their new baby. 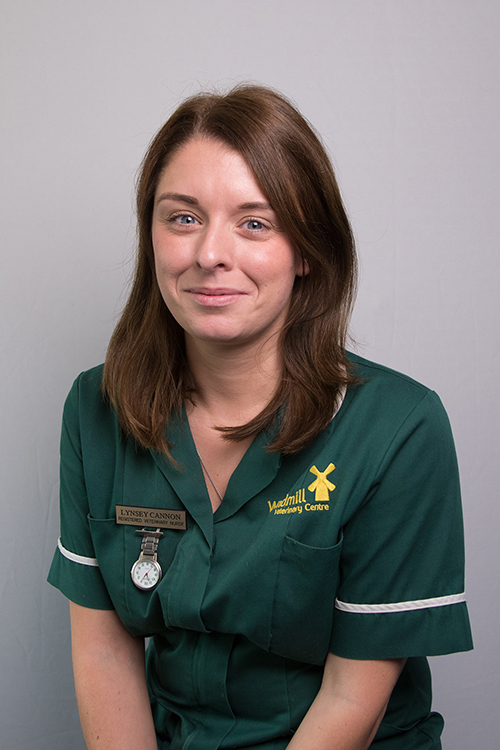 Lynsey qualified as an RVN in Ireland in 2012 where she enjoyed working in a mixed practice before moving to the UK in 2014 to work with small animals. 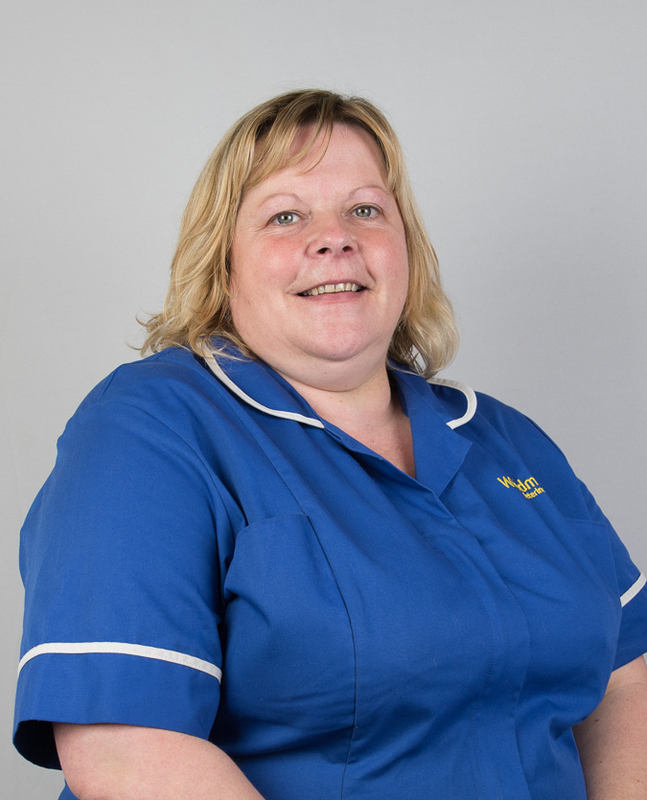 She enjoys all aspects of veterinary nursing, especially theatre nursing and dog behaviour. In her spare time, she enjoys going for long walks with her two rescue dogs, Pixie and Noah, with her husband in tow! 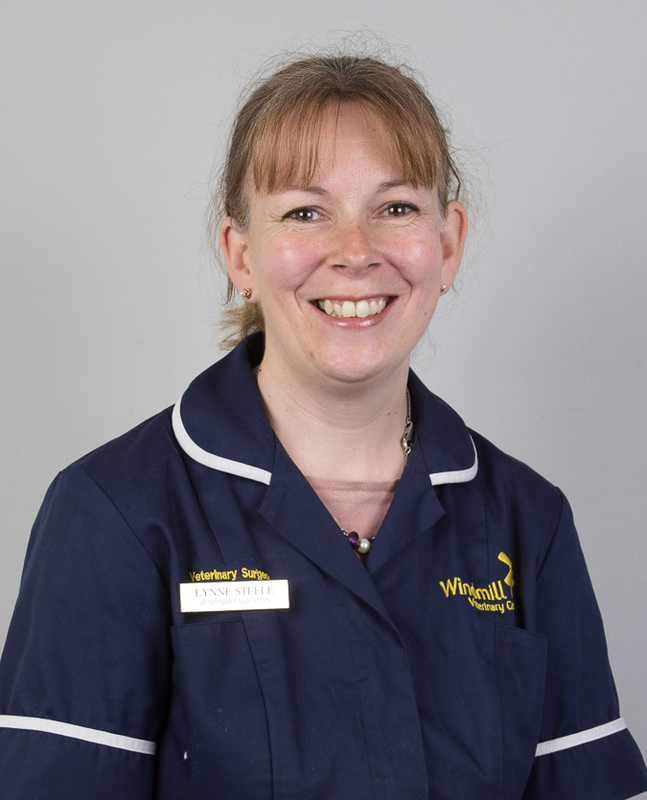 I qualified as a Veterinary Nurse in 2004 at a practice in Aylesbury. 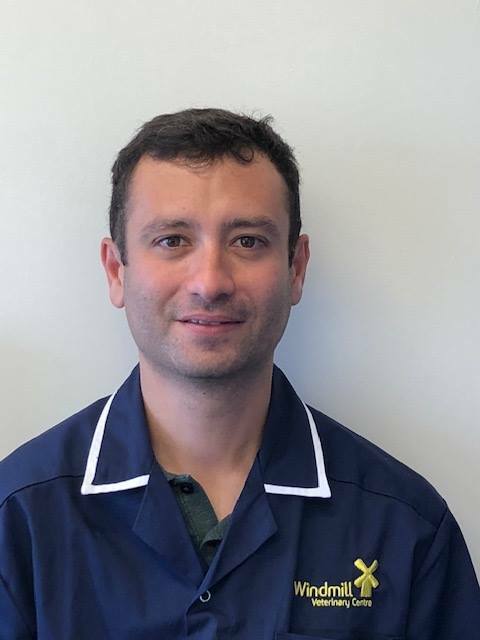 I left to locum and joined a practice in Bletchley for 18 months. I took a break from nursing and returned after having my first child. I joined the Windmill team in 2015 and haven’t looked back! At home I have two small children, a husband and a cat called Pickle! 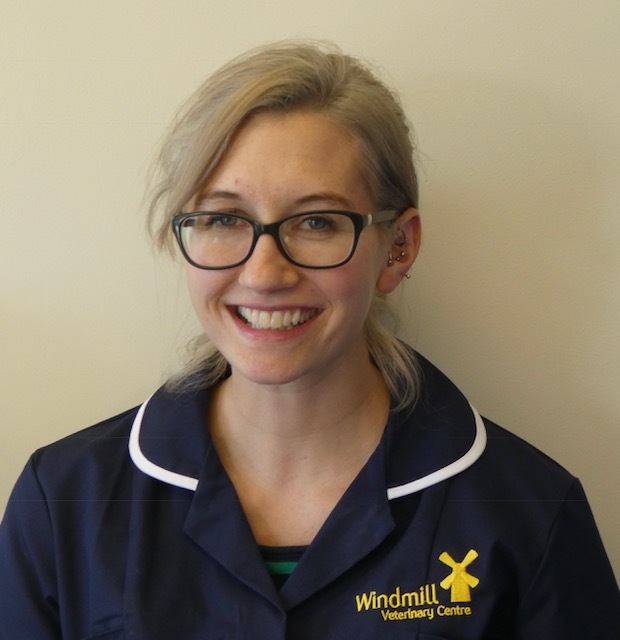 I joined the Windmill in September 2016, midway through my training after moving back to my home town, but continued to travel many, many miles back to Monmouth college on day release to ensure continuity with the same course provider. I have learnt so much here, so much so, I was able to condense a three year course into two years!. Windmill has a very unique, family feel and everyone was so supportive every step of the way, although my Clinical Coach, Dawn, is still in recovery! I have my sights set on an Advanced Veterinary Nursing course in the not too distant future as I do enjoy learning. 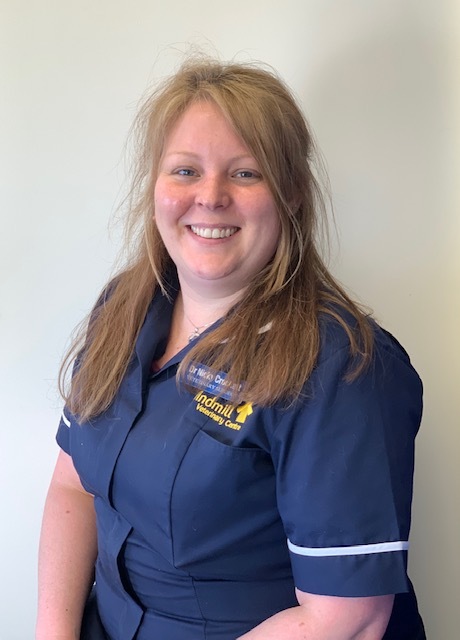 I joined the practice in December 2018, and enrolled on the Veterinary Nursing apprenticeship scheme with the College of Animal Welfare in Huntingdon, which started in January. At home I have two miniature Jack Russells and a Leonberger who we rescued two years ago. I also have a horse who takes up most of my time outside of work, and have had most other small furries at some point while growing up. As well as animals, I also love to bake, and one day hope to make it onto the Great British Bake off! I have worked at Windmill since October 2001. 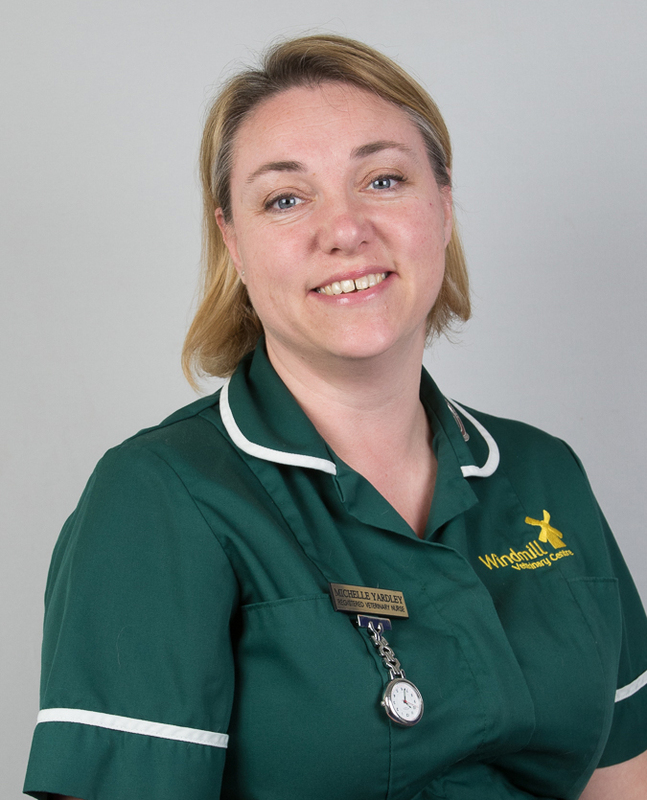 From a very young age, I always wanted to be a Veterinary Nurse and many years ago I worked at a practice in High Wycombe during school holidays and at weekends. In those days, (yes it was a long time ago!) qualified nurses were not the norm and at the time I wanted to qualify, so left there after a great couple of years in readiness for college. Unfortunately, I didn’t quite time it right for enrollment, and found myself in an office job, having gained shorthand and typing qualifications from school. I have worked for an oil and gas pipeline company, Oral-B Laboratories as PA in the Marketing Department and at Forte Hotels Head Office in the Human Resources Department. In 2001, I join Windmill, following a visit with my Shetland Sheepdog. 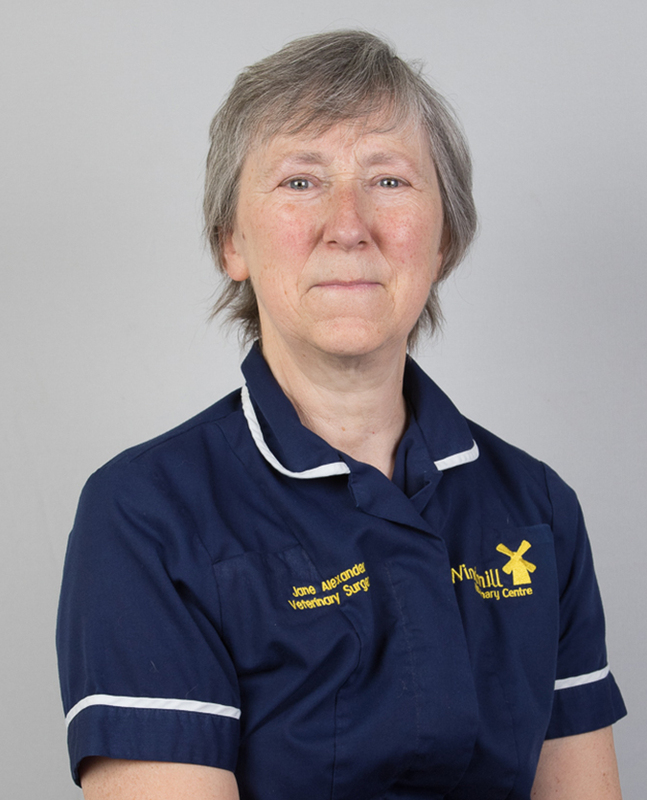 I worked on the Reception team and helped out the nursing team, but after a couple of years, took on the responsibility of personnel within the practice. I was promoted to Practice Manager in 2009 and gained my ILM Level 5 diploma in Leadership and Management in 2010 and my Certificate in Veterinary Practice Management (CVPM) in 2011. I own three British Silver Shorthair cats and three Belgium Shepherd dogs. I joined the practice in 2009 as a Receptionist, I am a trained Pet Plan Insurance Advisor (PIA) and in 2011, I qualified with Amtra as a C-SQP and later a CA-SQP after completing their avian module. 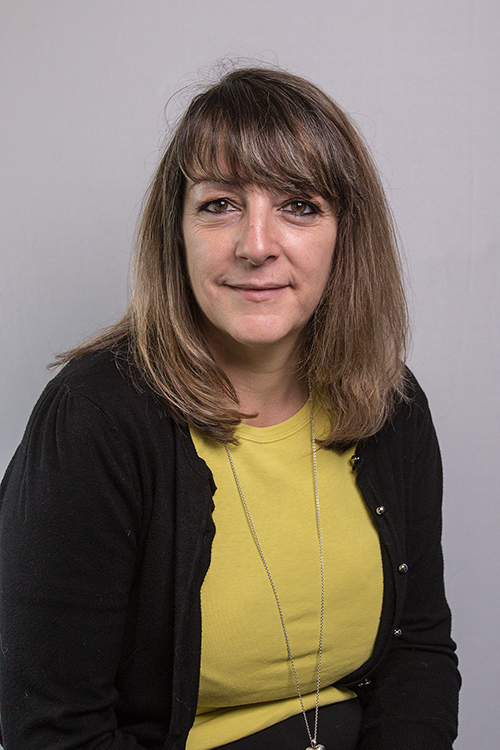 I was promoted to the position of Head Receptionist at the practice two years ago and this is a role that offers many different challenges and experiences, which I thoroughly enjoy. My two grown up daughters live at home with me and we have an elderly Golden Retriever and our newer edition to the family, a cocker spaniel puppy, who is now six months old and full of fun and mischief, which keeps me busy! I joined the practice in August 2014, coming from a sales background. I love that no two days are the same here , and of course all the pets that we get to meet. In my spare time I enjoy spending time with my three children, and visiting National Trust properties with my partner and our staffy Missy. I joined the practice in August 2017, coming from an IT background and fulfilling a desire to work with animals. I enjoy meeting all the clients and their pets and I am looking forward to completing my training in the receptionist team. I have a young working cocker spaniel and in my spare time I enjoy dog agility training with her and motor-homing with my husband. 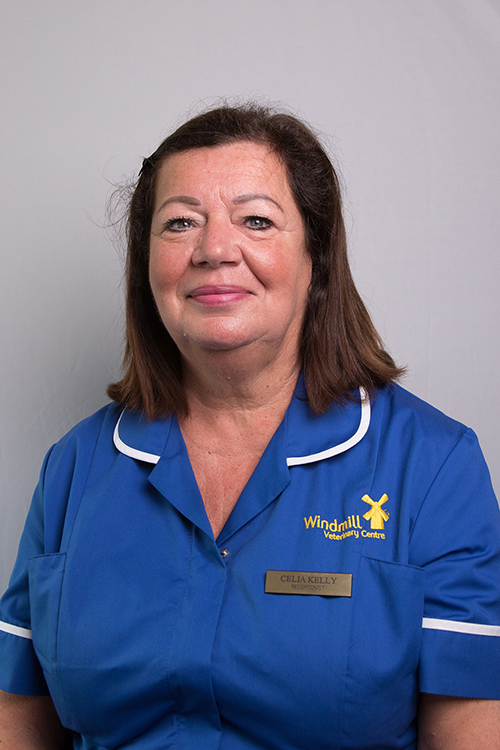 I joined the Windmill team 11 years ago, initially starting as a Receptionist, but later transferring to the nursing team as an Assistant. 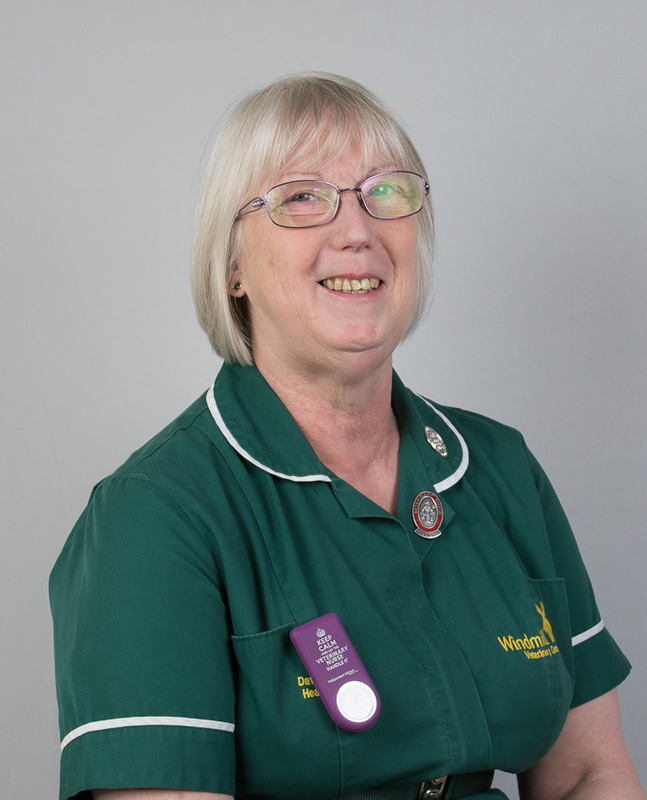 I went on to gain my Veterinary Nursing Assistants qualification and found working with the animals very rewarding and have adopted a fair few in the process. After spending five and half years in this position I left the practice for a couple of years due to family commitments, but continued to help out on reception when required. I have now returned permanently to the reception team and work two days a week. My passion and hobbies all include animals of which I have 3 dogs, 3 cats and 4 horses. I enjoy riding and being outdoors. I joined the Practice at the beginning of June 2017 and am primarily based at the Winslow Branch, although I can be found at the Buckingham Branch once a week as well. The position of Receptionist is extremely varied, and rewarding, particularly when we meet and cuddle puppies and kittens . Whilst I do not have any pets at the moment I have owned Briards and donkeys, and I am sure it will not be too long before a puppy takes my eye ! I enjoy travelling in my spare time as well as working on my latest project, a cottage garden ! 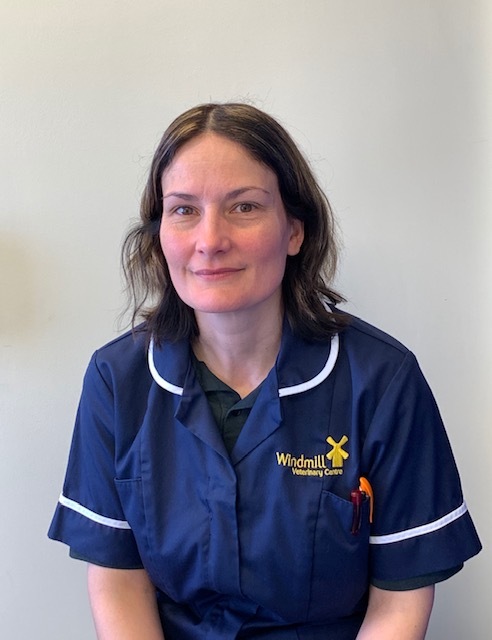 I joined the practice in November 2018 and am really enjoying being part of the Windmill family. My favourite parts of the role are meeting all our clients and their pets and that every day is different. Animals have always been a big part of my life from helping out on the farm where we lived for many years, to now owning a very special rescue border collie and three collie cross dogs. I decided to leave my career some five years ago as I wanted to be able to spend time looking after my grandchildren. Semi retirement beckoned but wanting still to work flexibly, I considered what I might do to fill the gap. 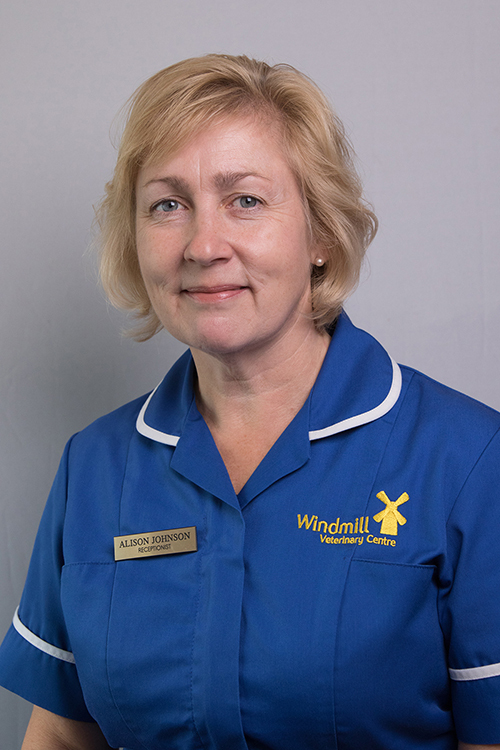 I have always loved animals and had dogs in my life from a child, so I approached Windmill Veterinary Centre (who had looked after my dog Samson throughout his life). I have now been working as a bank receptionist here for over two years. There is so much variety to this job and it is always a joy to meet the animals and their owners as well as working with such a dedicated team. I hope one day to be able to have another dog but in the meantime would like to get involved with a charity as a fosterer/carer. My hobbies include travelling, theatre, live music and most importantly, I love spending time with my family. I joined the practice in August 2003. I am responsible for the completion of insurance claim forms on behalf of our clients and am a Pet Insurance Advisor. I qualified with Amtra as a C-SQP in 2009 and have a personal interest in training and working Labradors. I graduated from the Royal Veterinary College in 1999. 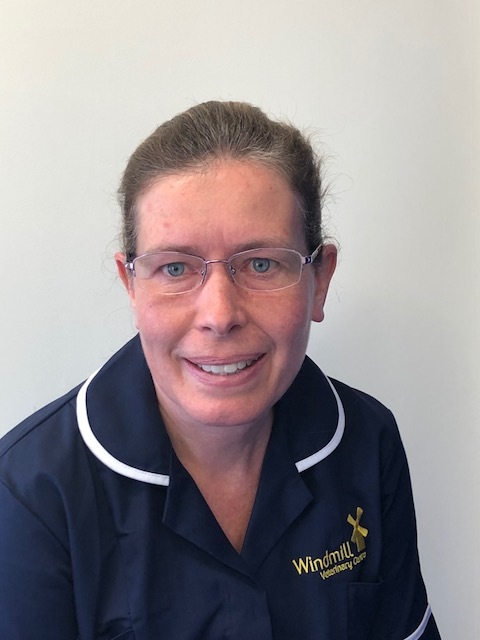 I started at a small animal practice in Sussex until nine years ago, when I moved to Aylesbury and worked at a small animal hospital in the town. I am delighted to have joined the Windmill team in May 2017. I passed my General Practitioner certificate in small animal medicine in 2005 and RCVS certificate in advanced veterinary practice to become an RCVS Advanced Practitioner in small animal medicine in 2017. I am married with two children, two senior cats and a pre-loved six year old Labrador called Brian. 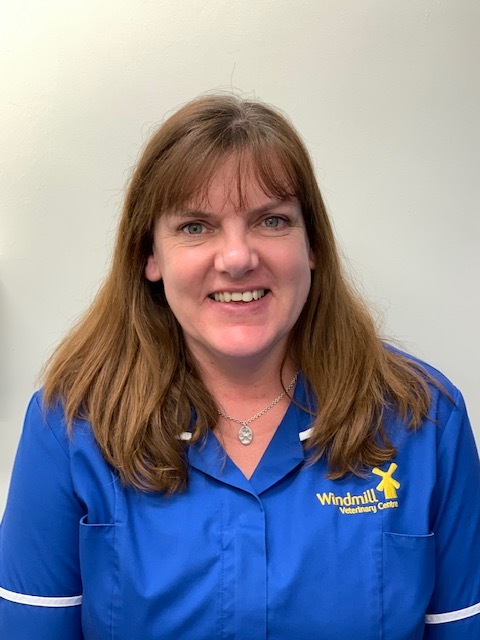 I graduated from the Royal Veterinary College in 2013 and joined the Windmill team in September 2018, having worked in small animal practice in London, Chelmsford and Milton Keynes. I have an interest in surgery and hope to complete my advanced certificate in the near future. I have recently adopted a cat called Smokey. I qualified from the Royal Veterinary College in 2007. I worked as a locum vet at a variety of small animal practices in the UK, including Windmill Vets, until I moved to Australia in 2015. 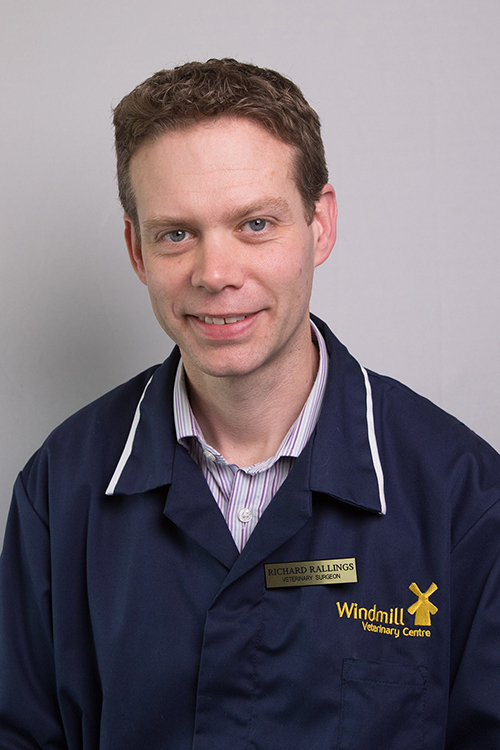 I lived and worked in Melbourne as a small animal vet, but missed the UK, so returned at the end of last year and was delighted to re-join the Windmill team in December. I have an elderly labrador called Poppy and a naughty cat called Harry-Havoc who lives up to his name! I graduated from the Royal Veterinary College in 1993. After initially working with both small animals and horses, I joined the Windmill team in 2000. I am married with three teenage daughters and have dogs, a cat and some pet chickens at home. In my spare time I enjoy horse riding and walking. I graduated from Cambridge in June 2010 and have been working on the small animal side of veterinary practice ever since. I’ve taken a recent break to have a baby, but do enjoy a few shifts at the practice when I can. I am interested in soft tissue surgery, analgesia, pain management and feline medicine. At home I have a grey cat who is not a big fan of the baby, and an easygoing leopard gecko! I graduated from Cambridge University in 1998 and was awarded the RCVS Certificate in Veterinary Dermatology in 2008. I hold dermatology clinics on Monday mornings in Winslow where I treat a variety of skin, ear and claw conditions. In my spare time, I enjoy riding my horse. I qualified from Bristol University in 1999 and have worked in a variety of both farm-based and small animal practices over the years. I enjoy all aspects of practice life and particularly like getting to know pets and their owners in the consulting room. I really enjoy dealing with ‘small furries’ and rabbits, and breed and show my own guinea pigs on a small scale. I am currently ‘owned’ by about 25 guinea pigs, a ragdoll cat (who thinks he is a dog) and a Cavalier King Charles x Cocker Spaniel who has reminded me what it is like to have a puppy in the house again and is training me well! After qualifying from Bristol in 1989, I worked in mixed practice in Tewkesbury before moving to a busy practice in Marlow. I joined the Windmill team in 2013 and enjoy consulting on a part time basis. At home, my cat, Rufty-Tufty, is in charge of the house, whilst outside, Pygmy goats and Grey Faced Dartmoor sheep keep the family entertained. In any spare time, I enjoy riding Diva, my beautiful bay mare.